All refuse should be at the curb by 7:30a.m. but not prior to 6 p.m. the day before collection. The hour of collection may vary. If your regular rubbish pick-up falls on a holiday, it will be picked up on the following work day along with your recycling. Containment - All refuse capable of being contained in cans or bags must be contained in such manner. Material such as furniture not capable of being contained may be left as is. Refuse will not be removed when left in boxes, paper bags or loose piles. Blue plastic bags are not permitted for refuse. Acceptable Rubbish Containers - 35-gallon capacity or less, with rigid lift type handles. Cans must be in good condition and not exceed 50-lbs. weight when filled. Large refuse carts over 35-gallon MAY NOT be emptied. Carts over 45-gallon WILL NOT be emptied. Thank you for your cooperation! Acceptable Bags - Plastic 30-gallon capacity or less. (No blue bags). Bags must be tied and should not tear because of being overstuffed. Cardboard Boxes - Must be collapsed by loosening staples and taped seams. Tie flattened sections into stacked bundles with rope. 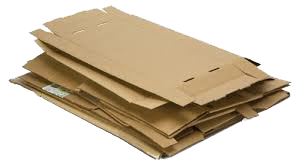 Save corrugated cardboard for recycling. Cardboard boxes are not refuse containers and may not be taken when filled with refuse. Old Rubbish Containers - When you dispose of an unacceptable or worn out refuse container, you must attach a signed note instructing the collection crew to discard the container. The city is not responsible for damage incurred to any refuse container due to weather, traffic, non lifting handles or a container which exceeds 35 gallon capacity or lacks rigid lifting style handles, nor missing lids or wheels. 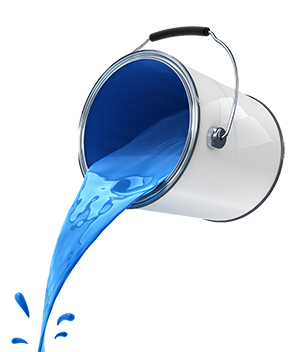 Latex Paint - Most latex paints are not hazardous as they are comprised mostly of water. To dispose of latex paint, solidify and place in your curbside trash. 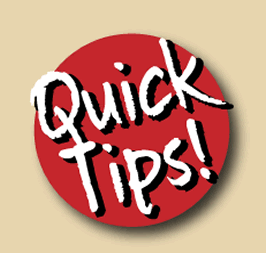 DO...Allow the paint to dry by removing the lid and allowing liquids to evaporate in a well ventilated area. This works well for small quantities of paint (an inch or two in the bottom of the can), and can take several days. Latex paint can also be solidified by mixing in an equal amount of an absorbent material and allowed to dry. Use cat litter, sawdust, plaster of paris, oil dry, or vermiculite. When thoroughly dry, the remaining hardened paint should be discarded with your regular trash. Leave the lid off the can so the waste collector can see the paint is hardened. DO NOT...Dump the paint on the ground or down storm drains where it will travel directly to surface and/or ground waters. Pour it down the drain. While small amounts of latex paint can safely be washed down the drain to a septic system or wastewater treatment plant, this practice should be kept to a minimum. Limit this to brush cleaning and clean-up. Throw liquid paint in the regular trash. It may be released from the can when trash is compacted and may seep out of a waste collection vehicle onto your street. Carpeting and Padding - Must be no longer than 4'-5' in length, rolled and tied for easy handling by one person. Duct tape may also be used. Maximum 50 lbs per bundle. Miscellaneous - Wooden boards must be reduced to five foot lengths or less, bundled and tied at both ends securely with rope or twine weighing no more than 50 lbs. Lumber must be free of drywall or paneling and protruding nails. Small quantities of roofing materials must be contained in cans only, weighing less than 50 lbs. Large quantities from whole roof replacements require commercial removal. Remodeling debris is the homeowner's responsibility to dispose of. Significant amounts of such material will not be collected on daily refuse collections. Restricted Materials Include - Tires, railroad and landscape ties, logs over 6" diameter, rocks and concrete. Call the Service Department for information on how to dispose of this material. Home Remodeling Debris – Disposal of construction debris consisting of lumber, drywall, cabinets, doors, windows, shingles, and masonry is the responsibility of the contractor performing the work. When a homeowner is also the contractor, it is the homeowner’s responsibility to remove and discard such material at his or her own expense. Under NO circumstances will the City take construction debris from major remodeling.